The round top of your upper arm bone, or humerus, fits into the socket of your shoulder joint. All the muscles and tendons that wrap around the shoulder joint create a protective capsule called the rotator cuff. This capsule is designed to give you a wide range of rotation without dislocating your shoulder. If you repeatedly strain your shoulder with an overhead rotation, the tendons and muscle tissue can develop partial thickness tears, which can eventually turn into more serious full thickness tears. In some cases, a severe tear can also be caused by a one-time trauma to your shoulder. Rotator cuff tears can be very slow to heal. Fortunately, Dr, Bennet has a leading edge technology that can help speed recovery: the REGENETEN™ Bioinductive Implant. Are you at risk for a rotator cuff tear? According to the American Academy of Orthopedic Surgeons, rotator cuff tears are one of the most common injuries in throwing athletes, such as baseball pitchers or tennis players. Construction workers like painters or carpenters are also frequently plagued by rotator cuff tears. If you engage in an activity that requires you to do repetitive overhead arm movements, you could be at risk for a rotator cuff tear. Dislocation of the shoulder heightens the risk of tear, so if you’ve had one or more shoulder dislocations in the past, a rotator cuff tear could be more likely. A rotator cuff tear can also happen during a single traumatic event. According to Johns Hopkins, natural aging can also contribute to your risk of experiencing a rotator cuff tear. How can you tell if you have a rotator cuff tear? If your shoulder hurts with a dull aching pain most of the time, or if you’ve noticed you wake up with pain in your shoulder, you could have a rotator cuff tear. If pain continues for more than a few days, or is severe enough to keep you awake, you should see Dr. Bennett for an exam. Other symptoms include having a sharp pain in the shoulder when lifting your arm to or above shoulder height, or sudden arm weakness if you try to lift or throw anything. If you notice arm weakness directly after an injury, you should call Dr. Bennett immediately for an appointment. What kind of treatment does your rotator cuff tear need? Treatment for a rotator cuff tear will depend on how severe your injury is believed to be and whether or not you have a history of shoulder injury or dislocations. You’ll certainly be told to rest your shoulder, and you may have to strap your arm in a sling to immobilize it. You can take OTC non-steroidal anti inflammatory drugs (NSAIDs) for pain. A steroid injection can help calm inflammation and relieve acute pain, but the Mayo Clinic warns that repeated steroid injections can weaken an already damaged tendon. A regimen of stretching and strength exercises can help to rehabilitate your shoulder joint. If the tear is severe, or simple medical treatment doesn’t bring relief, you might need surgery. For minor tears, the surgery could be arthroscopic, meaning very small incisions are made and tiny tools inserted to perform the surgery without opening the joint. For severe tears, you might need a more in-depth surgical procedure. If there is significant damage, your entire shoulder joint might have to be replaced. What is the REGENETEN™ Bioinductive Implant? One of the biggest challenges for people with a rotator cuff tear is recovery time and the possibility of another surgery in the future. Dr. Bennett chooses the least invasive treatment possible and finds ways to prevent the need for future surgeries, so you can get back to your normal life quickly and without pain. The REGENETEN Bioinductive Implant is a natural, biocompatible material that is about the size and thickness of a postage stamp. It is derived from purified bovine Achilles tendon, and can be applied directly to the site of a rotator cuff repair during minimally invasive surgery. By using REGENETEN in combination with arthroscopy for partial-thickness tendon tears, Dr. Bennett can help prevent the your rotator cuff tear from becoming worse. Using REGENETEN can stimulate your body’s natural healing process and encourage new tissue growth. The bioinductive treatment will slowly dissolve into your body’s tissues, to strengthen the injured tendon and protect it from further injury. By using REGENETEN, Dr. Bennet is able to cut the need for more invasive surgeries in half. If you have a rotator cuff tear and need surgery, ask for a consultation to see if a minimally invasive arthroscopy and REGENTEN treatment could be right for you. A speedy recovery and pain free future could be within your reach. Dr. Bennet is the orthopedic surgeon in Houston and Sugar Land who can improve your chances of a full recovery and reduce your likelihood of needing another surgery in the future. Call or book your appointment online today. Popular culture gives a dangerous edge to the idea of shooting lasers into your body. In fact, modern medicine uses laser light to heal. Multiwave locked system (MLS) lasers can ease pain and inflammation for a variety of injuries and conditions. Platelet-rich plasma (PRP) is a simple and effective treatment that accelerates your body’s natural healing powers and may be able to quickly get you back to doing the things you love. Here’s what to expect from your first treatment. When you have no desire to undergo surgery, but you’re more than ready to be rid of chronic tendon pain, the Tenex Health TX™ procedure may be your best option. Learn how this minimally invasive technology eliminates the source of chronic pain. Am I a Good Candidate for Orthopedic Surgery? Do you have joint pain from a sports injury or arthritis? You may be a candidate for orthopedic surgery. Orthopedic surgery can relieve you of your pain and get you back to the activities you enjoy. Your shoulder joint is highly flexible, placing it at a higher risk of instability and injury. While many shoulder injuries can be rehabilitated with therapy, sometimes you need surgery. Learn about five of the most common shoulder surgeries. 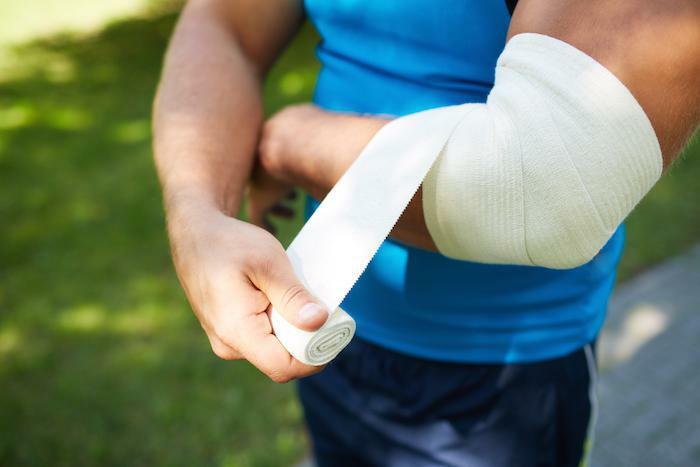 Whether you’re actually an avid tennis player or you’ve developed tennis elbow another way, there are nonsurgical solutions that can help relieve your pain.